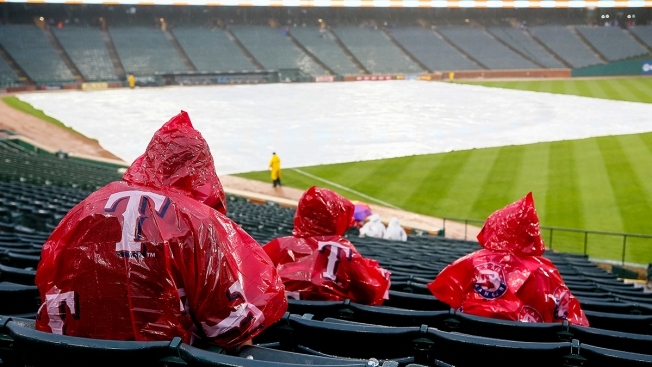 Baseball fans wait out a rain delay before a baseball game between the Oakland Athletics and the Texas Rangers, Saturday, April 13, 2019, in Arlington, Texas. 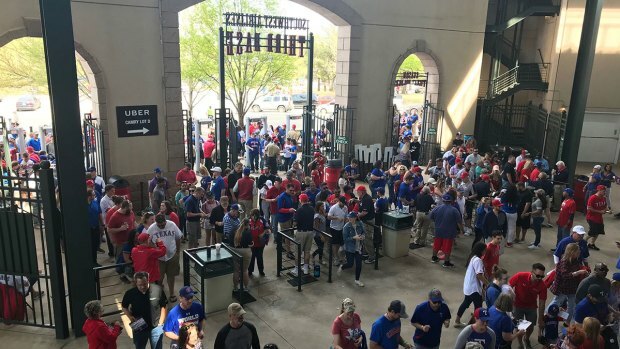 The Rangers delayed the start time of Saturday's game due to inclement weather. In the series opener Friday night, Davis hit a tiebreaking solo homer in the eighth inning of an 8-6 win for the A's after they overcame a five-run deficit. 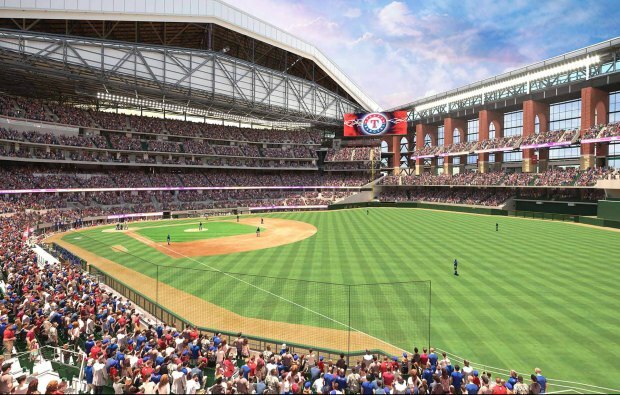 He has 28 homers against the Rangers since the start of the 2016 season, the most by any player against any team in that span. He has eight homers and 21 RBIs in his last 10 games in Texas.